The Legal Implications of Use of Force reviews recent court cases covering use of force, utilizes video to fully understand use of force situations and walks you through a use of force incident from field training to the court room. Learn the necessity of contact drills both in the street and in the courtroom and how to navigate the civil and criminal trial process. What is the proper responses for both management and officers after a major incident? Learn the answer to this question and many more by attending this course. All cancellations and substitutions MUST be in writing and directed to the CPOA Training Coordinator at: lserpico@cpoa.org. All refunds will be processed within 30 days from the written date of the cancellation request. 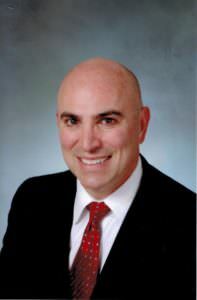 David Demurjian has a twenty-eight year history of advising, defending and trying “Use of Force” cases on behalf of law enforcement personnel throughout the country. He has tried and consulted on this type of case in three major jurisdictions: New York, California and Massachusetts. Aside from his legal experience, he is also an instructor of defensive tactics and use of force policies for both state and federal law enforcement agencies. For almost 18 years, he has been a member of a large law enforcement agency in southern California where he is a certified use of force instructor. He is a graduate of New York University and Fordham University School of Law and is a member of the California, New York, and Massachusetts State Bars.